Israel Folau will challenge the breach notice Rugby Australia issued him over a controversial social media post, putting the Wallabies star and his employer on a pre-World Cup collision course. The 30-year-old advised officials he would not accept the notice, which means the matter will be referred to a code of conduct hearing. Full-back Folau came under fire last week after a post on his social media channels declared homosexuals, thieves and adulterers were destined for hell. Drunks, fornicators, atheists and idolaters also made Folau’s list. “Only Jesus saves,” the post read. He met officials from the sport’s governing body late last week and on Monday, Rugby Australia’s integrity unit deemed Folau had committed a high-level contract breach, and notified him of its intention to sack him. He had 48 hours to accept the sanction or have the matter referred to a code of conduct hearing. After signing with Rugby for the first time in 2013, Folau went on to become a key player for the Wallabies and was expected to play an important part in the upcoming Rugby World Cup in Japan. That tournament starts in September. 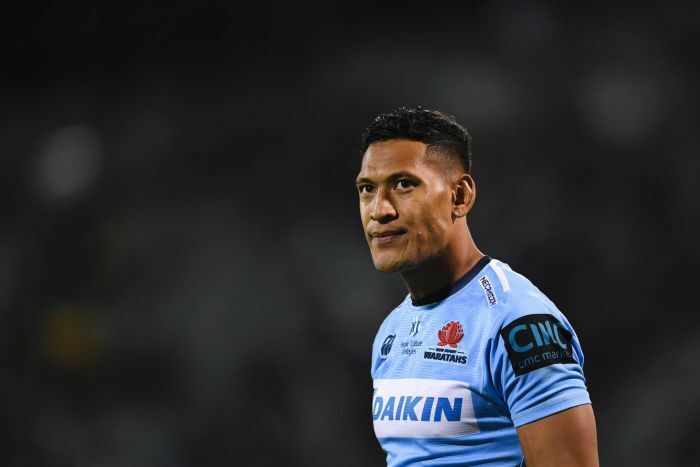 It is not the first time Folau has endured a backlash for posting anti-gay messages on social media. Last year, the NSW Waratahs player posted “those that are living in sin will end up in hell unless you repent” on his Instagram account. Rugby Australia issued him a formal warning after that incident. Folau has also previously declared he did not support gay marriage while insisting he had “love and respect for all people for who they are and their opinions”. Folau has played 73 Tests for the Wallabies, with his last appearance coming during the spring tour of Europe. 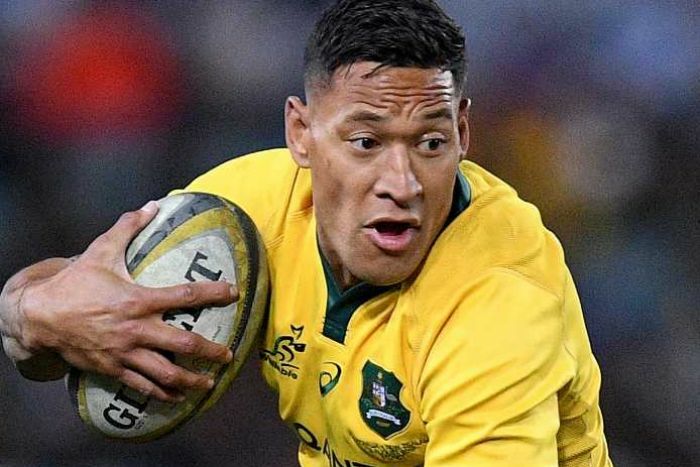 When he renewed his deal with Rugby Australia in February, Folau said the opportunity to play in a World Cup was a significant factor in his decision. “The World Cup is a big target of mine this year and I believe this Wallabies group can go a long way if we keep on improving,” he said. Wallabies coach Michael Cheika does have multiple back-line options at hand, but contesting matches against the likes of the top-ranked All Blacks will prove difficult without Folau. Australia is sixth in the world rankings and already well down the list of teams favoured to win the William Webb Ellis Cup.